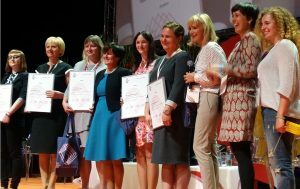 The nation-wide Congress of Public Libraries was organized by the Information Society Development Foundation (FRSI) as part of the Library Development Program, which is the result of partner cooperation between the Polish-American Freedom Foundation and the Bill and Melinda Gates Foundation. 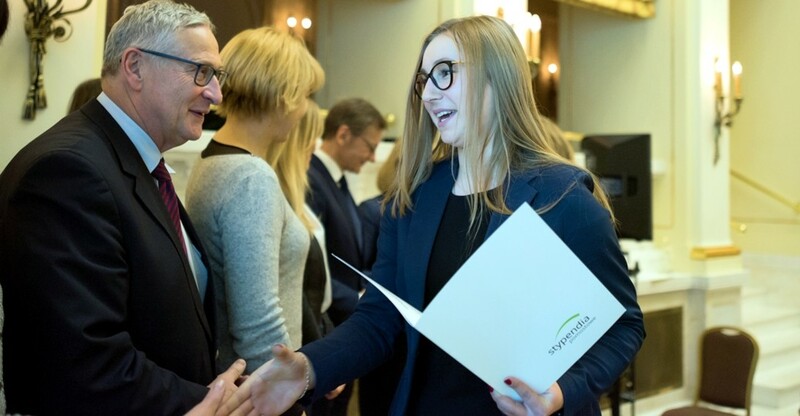 The event was held under the honorary patronage of the First Lady Anna Komorowska and Hanna Gronkiewicz-Waltz, Mayor of Warsaw. The inauguration of the Congress was attended by: Minister Małgorzata Fuszara, Government Plenipotentiary for Equal Status; Dariusz Stola, Director of the Museum of the History of Polish Jews; Tomasz Makowski Director of the National Library; Anna Duńczyk-Szulc, Vice Director of the State Patronage Department of the Ministry of Culture and National Heritage; Małgorzata Naimska, Vice Director of the Bureau of Culture at the Warsaw City Hall; Grzegorz Gauden, Director of the Book Institute; Elżbieta Stefańczyk, Chairperson of the Polish Librarians’ Association; Jadwiga Czartoryska, President of the Orange Foundation. 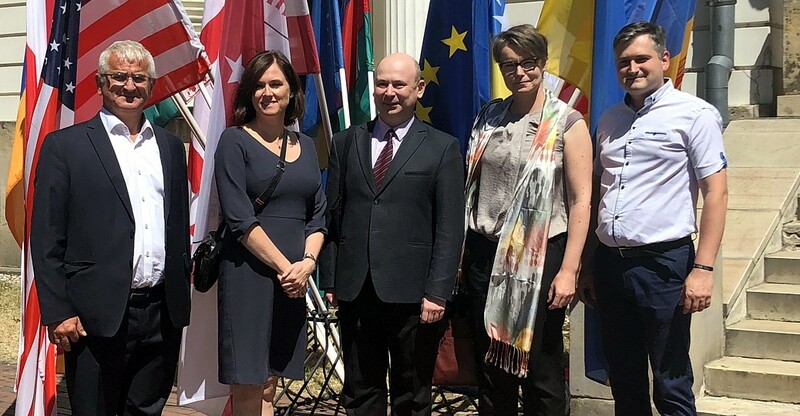 Present were also heads of national library programs in Romania, Turkey and Lithuania as well as representatives of the Norwegian libraries cooperating with the Information Society Development Foundation. The Congress was inaugurated by Jerzy Koźmiński, President of the Polish-American Freedom Foundation and Chairman of the FRSI Board, and Rafał Kramza, President of the Information Society Development Foundation and Director of the Library Development Program. 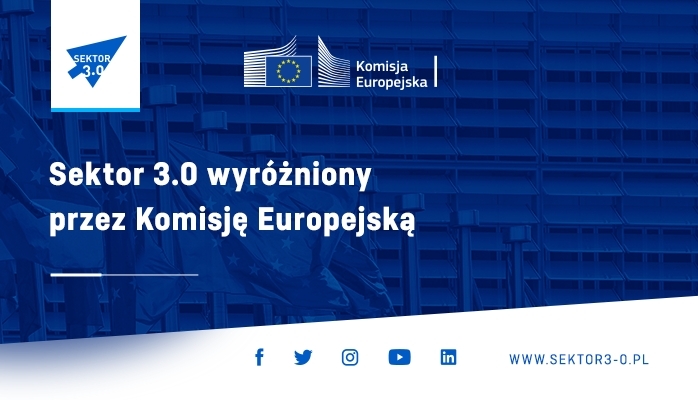 In his opening address, Jerzy Koźmiński recalled the objectives of the Library Development Program, emphasizing that it helps transform libraries in villages and small towns into modern, multifunctional centers of information, education, culture and civil activity. He also noted, that in response to proposals submitted during the third Congress, the program was extended till April 2015, which allowed almost 500 libraries to join the Program in its third round. Currently almost 4,000 public libraries from rural-and-municipal and rural districts, and small towns of up to 20,000 residents take part in it. “Apart from extending the scale of the program, also the actions taken to reinforce the program effects were very important. 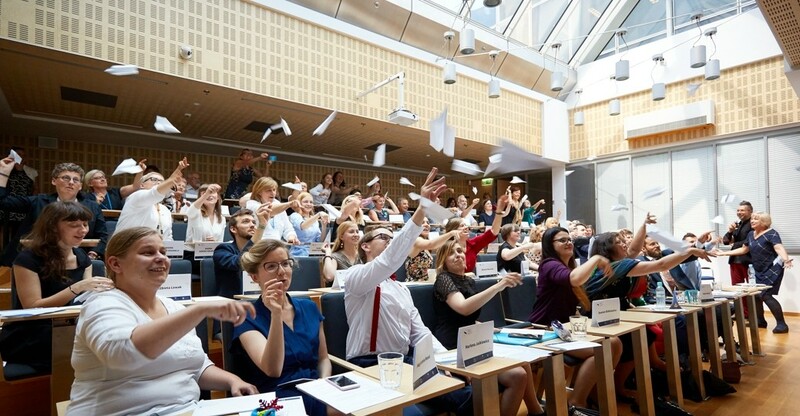 The first category of activities under the program are additional, specialist training for librarians and exchange of experiences by the libraries. 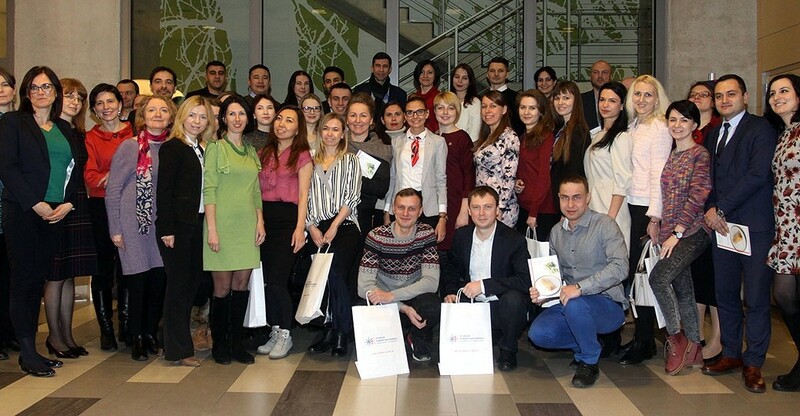 Since the beginning of the program, almost 8,000 librarians have participated in various courses and training, that constitute one fourth of the categories of activities that have been carried out for the last five years. The second category of activities was securing computer hardware and software for libraries. The total of 11,000 computers with free Internet access were secured for libraries thanks to the Orange, and modern software thanks to Microsoft. The third category of activities were information and promotional campaigns presenting how attractive modernized libraries can be, and the fourth – assistance in reinforcing the whole library system in Poland, which was carried out in close cooperation with the Ministry of Culture and National Heritage, the National Library, voivodeship-level libraries and the Polish Librarians’ Association,” said PAFF President. He also added that all activities carried out by the government, NGOs and corporations, lead to profound and permanent changes in libraries, which start to take on new functions. This way he referred also to complementary nature of the Library Development Program and other activities taken for the benefit of libraries, first of all under the “Library +” program implemented by the Ministry of Culture and National Heritage and managed by the Book Institute. 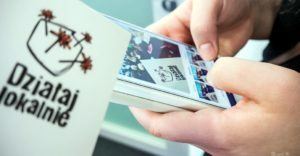 He also referred to the recent studies by the Chief Statistical Office, which lead to the conclusion that the libraries participating in the Library Development Program show the biggest increase in numbers of modern information technology users and in social activity. Also the growth of number of library users is bigger in those libraries that participate in the LDP – in 2012 it was growing by 23% year on year, while in the remaining libraries the membership grew by mere 4%. Mr. Rafał Kramza, President of FRSI, read the letter with compliments for the Congress participants from Mrs. Anna Komorowska, wife of the President of Poland, who took the honorary patronage of the event. In her letter she pointed to the important role the public libraries play in the present-day society, operating in more and more modern way and ever better meeting their local community needs. 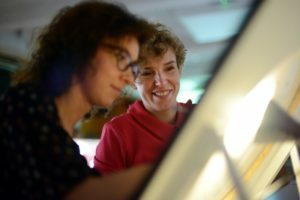 “The motto of the this-year Congress, ‘Full steam ahead’, reflects what has been happening in Polish libraries. I wish you continuous invention and willingness to act and that your efforts serve us all,” the wife of the President of Poland whished the Congress participants. In his address, the President of FRSI spoke about the future of the Library Development Program and about those important for the development of libraries aspects which were presented in the “Library with Vision” document prepared by FRSI and reflected in thematic blocks of workshop sessions during the Congress. He emphasized that the creativity of librarians and their ability to go beyond the habits and listen to the residents’ needs, knowledge of the local community, cooperation and sharing resources, ability to attract various environments as well as advocacy and willingness to tell others what you do are important for development of libraries. Also Anna Duńczyk-Szulc, Vice Director of the State Patronage Department, the Ministry of Culture and National Heritage, referred in her address to the significant role played by the librarians. She noted that the Ministry of Culture and other institutions and organizations provide tools but how effective these tools are depends on the librarians who apply them to reach the library users. The importance of librarians in the general development of the country was appreciated by Małgorzata Naimska, Vice Director of the Bureau of Culture at the Warsaw City Hall. “Big events are important and necessary – they give the sense of success, often create the image of the town and the state, but they are not the most important in the process of building the social capital and improving the standard of living in the country. The most important are invisible, seldom appreciated efforts of all those who do not hope for a quick success but with the persistence worthy the highest respect make efforts to build the new reality day by day,” she said. Grzegorz Gauden, Director of the Book Institute, emphasized challenges faced by libraries, such as e.g. struggle with the still low level of readership. Tomasz Makowski, Director of the National Library, spoke about the success of the Library Development Program in the context of exposing the new skills of librarians and new roles of libraries, as well as reinforcing others in their beliefs that it is worth to follow that direction of changes. 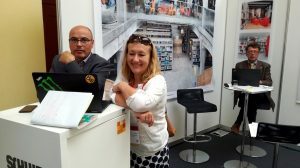 In turn, Elżbieta Stefańczyk noted that “Librarians have always had great ideas how to change libraries and now they have got tools to implement these ideas.” “The level achieved by libraries is a source of satisfaction for all of us, “ she concluded. Jadwiga Czartoryska, President of the Orange Foundation, emphasized yet another function of libraries, which is creating the places where people can unite. “More and more people get to know each other at the library,” she said. 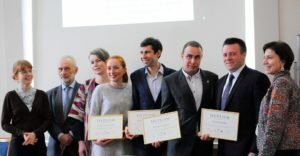 During the inaugural meeting, there was also the ceremony of presenting the winners with the Olga Rok scholarship awarded to women-librarians from public libraries. 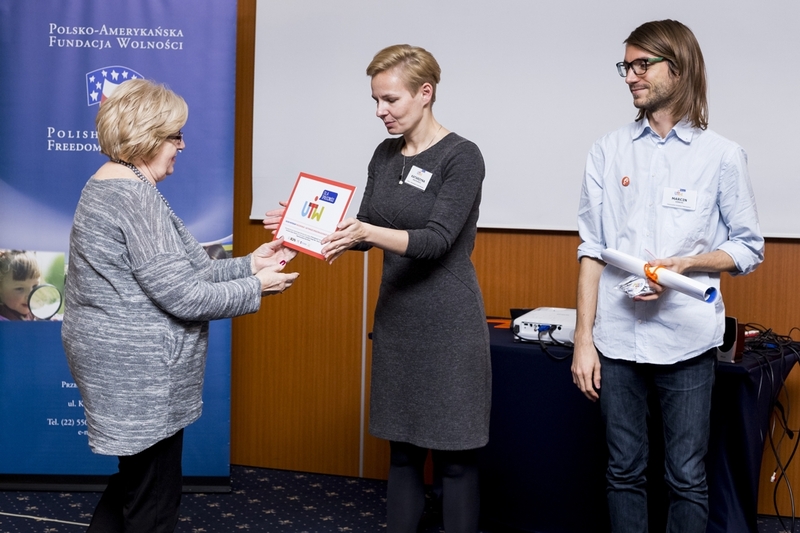 In the “One-person library” category the award was presented to Magdalena Hankiewicz of District Public Library in Radków, and in the category of “Multi-person library” the winner was Magdalena Turska of the Public Library in Kłodawa. Both winners received the prize of PLN 5,000 which they can use for their personal development. Also, four librarians were awarded with honorary mentions. 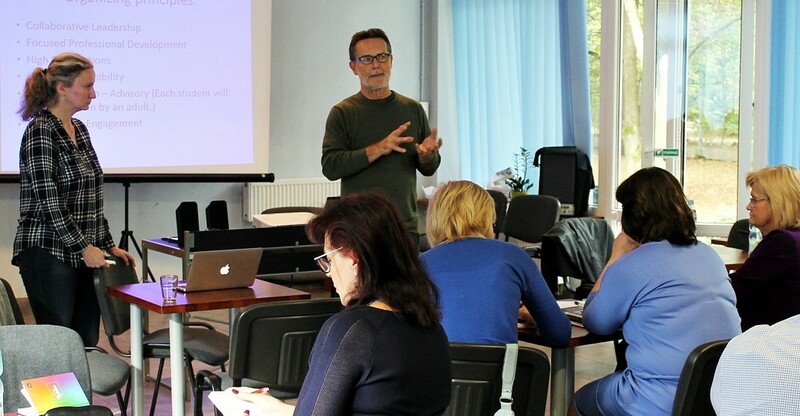 During two workshop days the librarians had the opportunity to improve their knowledge and practical skills. The subjects of six thematic blocks were selected in the open competition. These were: “Ask and you shall receive. Listen to the residents, talk to partners” or how to analyze the local community needs effectively; “Thinking has the future. Plan, select, decide” – about social consultations, ideas of animation and promotion; “Take the bull by the horns. Act together with the others” – about assertiveness, team building and tools of cooperation; “Faint heart never won fair lady! Experiment” or how to deal with the tensions during the cooperation with the others, sustain the partners motivation and enthusiasm and look for innovations in the library; “An ace up your sleeve. Show and use your strengths” – on international partnerships, presenting your ideas and applying new technologies for promotion; “Out to the wider playing field. Trends, inspirations, novelties” – on gamification, design thinking and picture books. The Congress participants took also part in the so-called speed dating, which allowed them to learn many new issues in a short time – in small groups they were talking with representatives of companies, institutions and NGOs that support libraries about possibilities of cooperation. In the form of the so-called un-conference they also had an opportunity to contribute to making the agenda by suggesting subjects they would like to discuss. 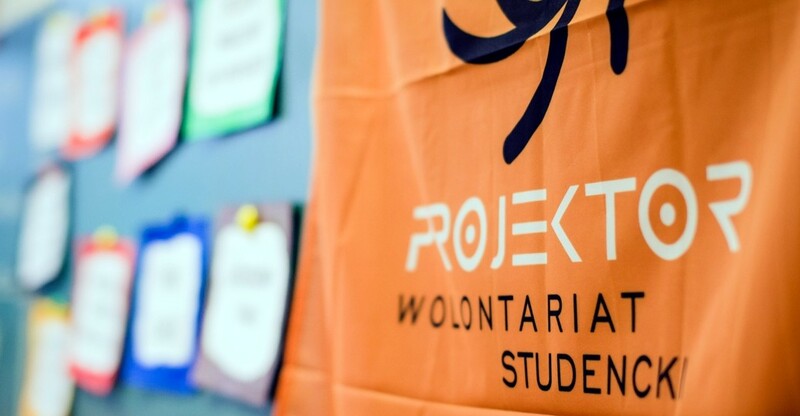 In Poland, the Library Development Program has been supported as part of the Global Libraries initiative implemented within the framework of the World Development Program of the Bill and Melinda Gates Foundation. 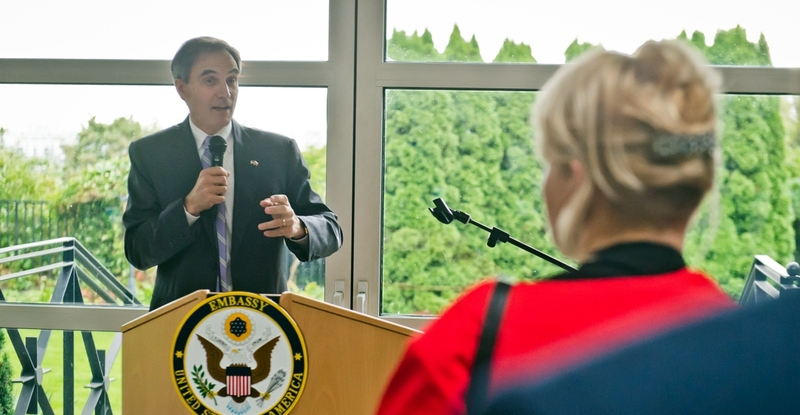 The partner and grantee of the Foundation in Poland is the Polish-American Freedom Foundation. The program is managed by the Information Society Development Foundation.